On October 4 2016, Google announced for the first time a family of products that brings people the best of Google through hardware and software made by Google. We’re excited that the lineup features the first phone made by Google inside and out — Pixel. 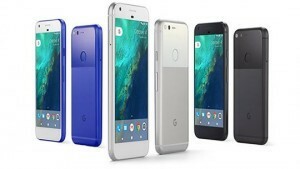 For those of you who have followed Google closely, that name may sound familiar to you because they’ve used the Pixel name in the past for consumer hardware products that represented an overall premium Google experience. Many of you may also be familiar with the Nexus program. Since 2010, they’ve partnered closely with mobile handset partners around the world to bring you the best of Android. Through Nexus, the goal was to work with these various partners to push the boundaries of what’s possible with a smartphone. They’ve now decided to take the next step and provide their take on the best Google experience, by bringing hardware and software design together under one roof. The Pixel camera is not only the best smartphone camera Google has ever made, it’s the highest rated smartphone camera anyone has ever made. Their DxOMark Mobile score of 89 is a great example of what’s possible when great hardware meets great software. Pixel puts cutting-edge computational photography in an ultra-fast and easy-to-use camera. Pixel has a 12.3MP camera, featuring an f/2.0 aperture and big 1.55 micron pixels to capture lots and lots of light. Google’s team of photography gurus and image processing experts have spent the last year designing and tirelessly optimizing our entire camera stack. Pixel ships with the newest Android operating system, Android 7.1 Nougat. Phones will get software and security updates as soon as they’re available, directly from Google. Google has also made the update process easier. When a new update is available, it can download and install in the background — no more waiting around for your phone to update.